Distell, South Africa’s leading wine, spirits and cider company, is gearing up to punch above its weight. In an exclusive interview with Drinks International, Fraser Thornton, Distell’s managing director Europe, said that the company’s number one commitment was to boost sales, particularly in the UK and particularly in wine. “When we looked across our portfolio of products and categories – wine, cider, scotch and cream liqueur, everything was growing but our relative position and market shares are smaller than most other companies,” said Thornton. “In wine, it would not be unusual to have 10-25% of the (South African) wine category in any of the markets we operate. But in the UK it is 2-3%. “The same is true with cider,” he adds. 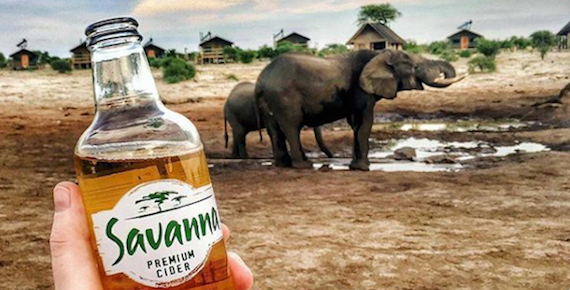 Distell is the second largest producer of cider in the world with its Savannah brand. Cider represents a half of the group’s business. The cider is about to go into cans in an effort to broaden its appeal and build incremental sales. Distell is a huge spirits producer. Its South African brandies, Van Ryn’s, Klipdrift and Oude Meester are world class and regularly win gold medals and trophies in the International Spirits Challenge. Distell is the ISC’s 2017 Brandy Producer of the Year. In 2013 Distell bought Burn Stewart Distillers from the ailing Trinidadian outfit, CL Financial. Thornton was working for CL at the time, selling off so-called non-core assets. The deal gave the company scotch whisky brands such as Black Bottle blended scotch, Bunnahabhain, the unpeated Islay single malt whisk, Deanston, the Highland single malt and Ledaig from Tobermory on the Isle of Mull. In November it will launch a South African whisky, Bain’s Cape Mountain single grain whisky, into the UK. Distell also has Bisquit cognac. Doubters of Distell’s distilling credentials just have to look at its roster of brands and achievements. So Thornton, an avuncular Scotsman, is on a mission to put market share on all his major brands across the board, starting with Nederburg, which is heavily involved with the Tour de France et al, pro-cycling team, Team Dimension Data in helping the African Qhubeka charity to buy bicycles to help people in remote African villages. The charity states: riding a bike increases a person’s carrying capacity by 5x. For every 16km, a person on a bike saves three hours. A bike will get a youngster to school and not be too tired, so he or she can get an education. Distell’s roster of wine brands also includes led by Durbanville Hills, Alto, Fleur du Cap, Plaisir de Merle and Cape fizz, Pongrácz. On the spirits side, Black Bottle, once thought as the successor to The Famous Grouse as Scotland's number one blended scotch whisky, is the priority. The sixth largest blended scotch whisky brand in the UK, 80% of Black Bottle sales are in Scotland. There is also its Amarula, the cream liqueur made from the fruit of the African marula tree. Probably Bailey’s only serious rival in that category. Thornton has overseen bringing all the Distell brands in-house, instead of third party distributors. The personnel at its UK HQ in Richmond, south-west London, has risen from four to 20 and there are approximately 140 at its East Kilbride operation, which includes bottling, warehouse/distribution and administration. Distilling Distell is Fraser Thornton’s mission for Europe and the UK. So, game, set and possibly the match.